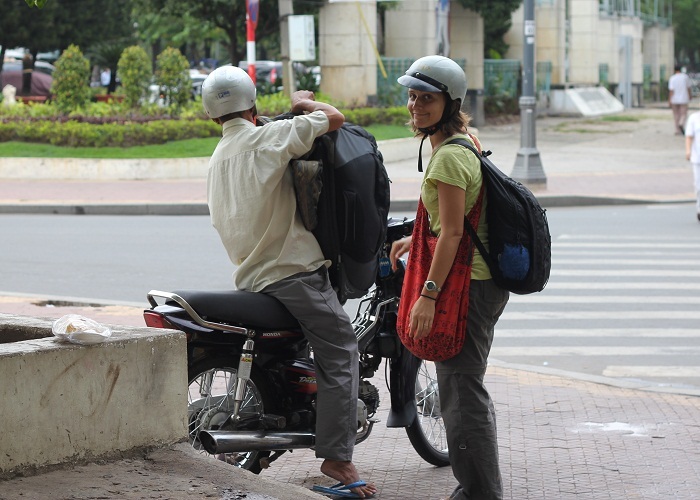 As soon as we got off the bus in Saigon aka Ho Chi Minh City, Dana noticed something a little weird. “There’s like no cars, all they have here are scooters,” she said. “So what?” I said. “So, are we walking from one side of the city to the other with all of our stuff?” she said. Just then, a couple guys, with scooters of course, offer to take us to our hotel. “How the heck are we going to fit our huge bags on two scooters?” Dana ask. Before I have a chance to answer again, the guys start to find all sorts of creative ways to get our bags ready on the scooters. Problem solved. We slapped on a couple of helmets, and off into the maze of millions of other scooters we went. Our first “scooter taxi” experience was a lot of fun. After settling in to our hotel, we immediately went out in search of dinner, specifically Pho. 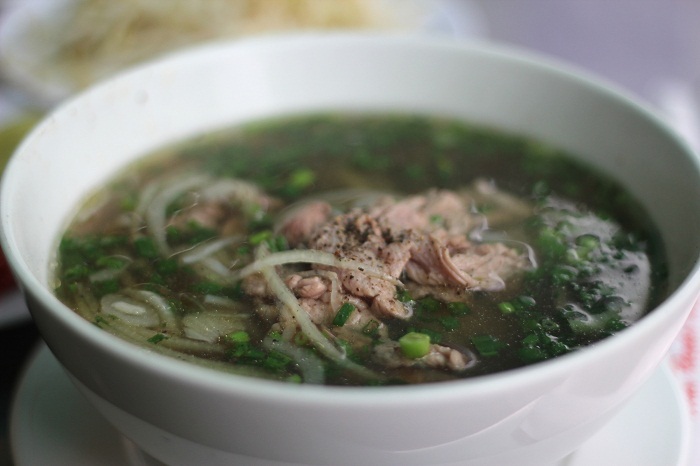 This beef noodle soup dish is a Vietnamese staple, and served with a cold beer- it’s fantastic. While at dinner we met a very nice monk who was in his full orange garb, visiting from Los Angeles. Nice guy. 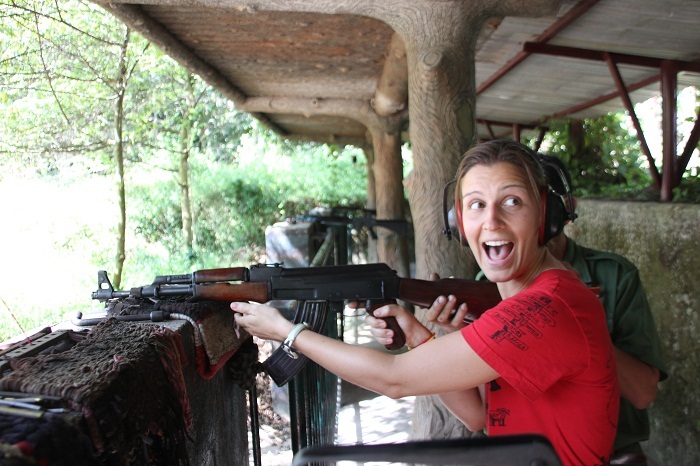 The next day we took a tour of the infamous CuChi tunnels, used by Viet Cong guerilla fighters during the Vietnam War. Now, Dana and I didn’t learn that much about the Vietnam War in school (like most people our age, we think). Some of this is due to the fact that it was relatively recent history, and the most recent stuff was always missed because of the end of the school year, and also because the US was forced to withdraw and it clearly wasn’t a victory. The tour was fascinating and unsettling all at the same time. How a group of people could put together such an intricate living system underground was unbelievable. Hearing about how guerrillas were referred to as “award-winning American killers” was something I would’ve preferred not to hear about, but it was part of the tour, and a learning experience. After a 200 meter crawl through these dark, claustrophobia-inducing tunnels, we got to participate in the good old-fashioned sport of shooting automatic assault rifles at targets. Yee Haw! Dana has never fired a gun before, so I figured what better place to learn than at a firing range that has a massive assortment of automatic weapons? We both ordered a clip for an AK-47 to share at the range. It was good fun. Dana, you need to look where you're firing!!! We then took a bus north to the sleepy beach town of Nha Trang. It was here we decided to finally take the plunge and learn how to scuba dive. We got a fantastic deal on our open water license, along with six dives in the ocean. Dana was really nervous learning how to dive, but after an initial session where we learned how to use the tanks in a shallow pool, she was all set. Our French instruction was a pretty cool guy, and only made one or two American jokes the entire time! The dives in the ocean were incredible, and we WISHED we had an underwater camera to show you all the cool fish and coral… but we don’t have one (yet). Maybe this scuba experience will be a motivating factor in getting one? 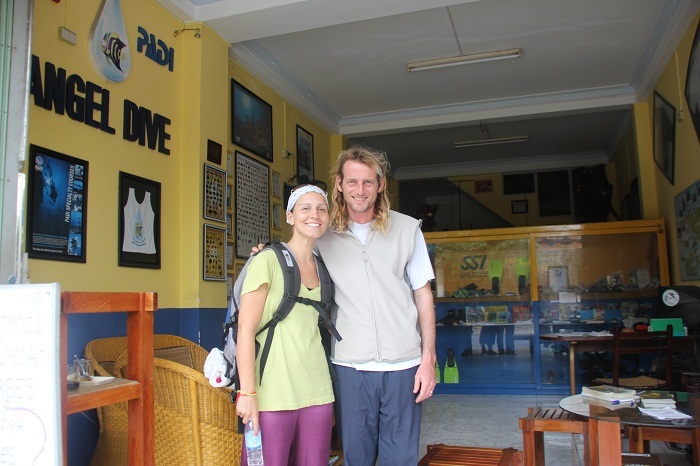 Dana and I both passed our test with flying colors, and our only regret is that we didn’t learn how to dive sooner! 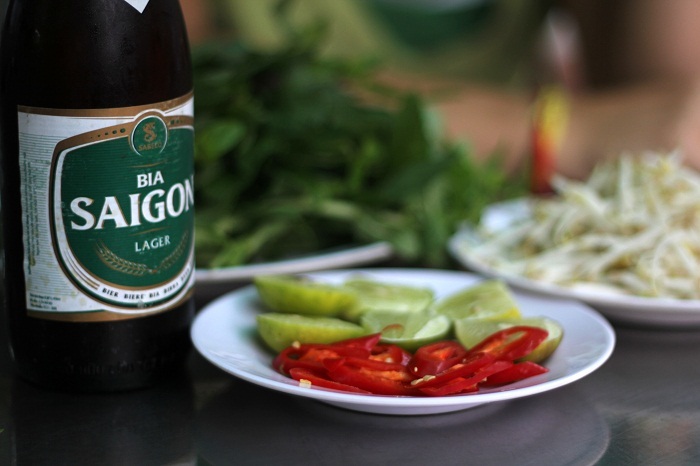 3 Responses to Gooooooood Afternoon… Vietnam! We’re looking forward to our first dive trip together. Belize, Cozumel, etc??? You pick the place!